Sharks truly are one of the great lost rock bands. Formed by Free bassist Andy Fraser and the great, omnirocking guitarist Chris Spedding back in 1972, with singer Steve ‘Snips’ Parsons, they recorded a great debut in First Water and excellent follow-up Jab It In Yore Eye (without Fraser) and then dissolved in some confusion. But the two albums they left behind were unique mixtures of woozy blues and hard rock. 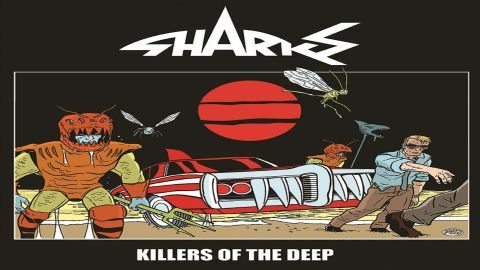 Spedding and Parsons continued to work together (as King Mob) and separately over the years and, following the release of previously unavailable Sharks material on Like A Black Van Parked On A Dark Curve, came together to make Killers Of The Deep. Time has wrought changes on Sharks’ sounds, and now their rock is more melodic, but it’s very effective. From the jittery Music Break Out to the very catchy Ya Ya Pop, this is a smart, shiny collection and a surprising return.